Did you know that Indians form the second largest group of immigrants in America, with Mexicans taking the top spot? 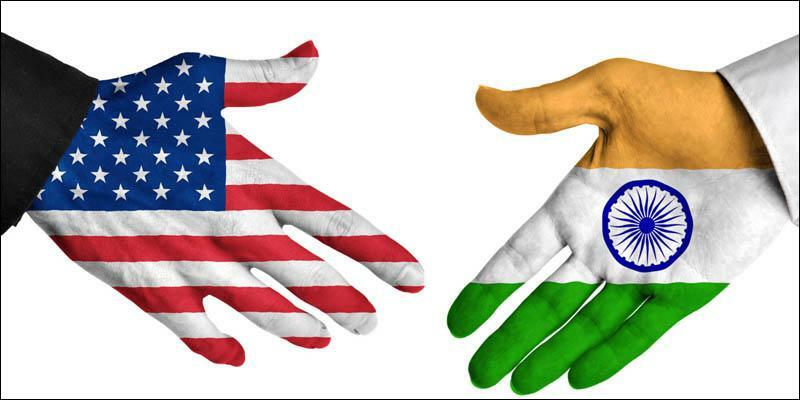 Although Indian expats may enter the US with a typically high level of education under their belts and a strong work ethic, they often find cultural differences between the US and India quite a challenge. Unless they are prepared, then it’s not unusual for Indian expats to find their American colleagues quite offensive. Whether it’s online or face to face, Americans tend to ‘say it as it is’, or to use a popular acronym WYSIWYG, what you see is what you get. They see giving their opinion directly, maybe dressing it up a little to soften it, to be a good thing. Indian – "I’ve pulled together a design for the conference invites which I think will really appeal to people." American – "I had a look at the design and I don’t think it reflects our company culture very well. I think we should revisit it." To another American who values directness, what their colleague has said probably won’t be taken offensively. To an Indian however, who is more likely to value harmony, the directness of this feedback could be taken very offensively indeed. Indians tend to be indirect in what they say. Even if they don’t agree with their counterpart, they are still unlikely to openly confront their counterpart or to say anything which might damage harmony within the relationship. Indeed, they are far more likely to give clues to their feelings through what they don’t say, rather than through what they do say. If you’re an Indian expat, then be careful not to take offense to such direct speech when in America as such direct statements are generally not intended to be disrespectful. Instead, it’s an American way of putting honesty and outcomes objectively over personal feelings. Americans also tend to be far more explicit than their Indian counterparts. To ensure that everyone is of the same understanding, they might reiterate things, emphasise, check understanding and then commit details to paper. For Indians however, they are more likely to communicate implicitly by making use of body language and non-verbal cues. They expect their counterparts to ‘read between the lines’ and infer meaning. Where someone is from a similar communication culture, then this may not be an issue but for Americans, it can cause confusions and might well be met with the reaction, ‘But they didn’t say that!’. Indian expats therefore, should bear in mind that their American counterparts are likely to be less able to read between the lines and they should, as such, try to express things verbally whenever possible. Where a shared understanding is important, then don’t assume your counterparts know what you mean. Verbally reiterate things and check their understanding. One of the challenges that Indians often take a while to acclimatise to is American individualism. Americans are more likely to think about themselves than the group or the team. It’s thought that this behaviour is rooted in the, quite literal, dog eat dog survival struggle for the original European settlers in the US. Life was incredibly tough and mortality rates were high. Indeed, if you weren’t equipped to look after yourself then there was often very little in the way of support systems to ensure your health or safety. As such, it was essential that people put their individual needs first. The enduring nature of this shared experience is reflected in many ways in America. For example, businesses place considerable value on individual achievement awards, employees often have career growth plans which involve moving from employer to employer to gain greater experience and to progress their careers, rather than staying put for the sake of team harmony. Married couples are also likely to live independently, while, young adults are more likely to leave the home fairly early in life to ‘make something of themselves’. For Indians however, the group is of precedence and identity is often very much integrated into the group. Team awards are far more celebrated than individual awards, young adults are unlikely to leave home, extended family members are more likely to live with each other and employees tend to stay put with the same employer for far longer periods of time. It’s important that Indian expats relocating to the US appreciate the greater sense of individualism in the country. It might take some getting used to but don’t assume that this means that individuals care any less about their family or friends. It’s just expressed differently. Likewise, team are still important to American employees, but loyalty is demonstrated differently. For the sake of brevity and comparison, we’ve used some quite binary descriptions of the Indian and American cultures. This is merely intended to give you a fairly general picture that you can use to help inform you in different situations. If you imagine cultural preferences as sitting on continuums, then cultures are fairly fluid – you will find that most cultures occupy the same general point on a continuum but there are a number of people who have quite different preferences sitting at very different points of the cultural continuum. So, when staring your assignment in America, then be aware of cultural difference, be careful not to judge your American counterparts against your own cultural standards and be prepared for a period of assimilation and adjustment. Looking to train Indian professionals in US business culture? Then check out this excellent Online Course for Indians Working in the USA.